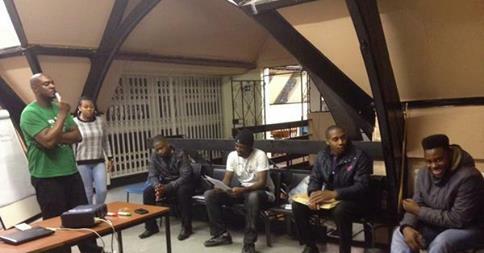 In the Spring of 2014 we undertook a research project about Stop and Search in Northamptonshire. We talked to 120 people and the report of the study is here NorthantsS&SReport final. We are continuing work on Stop and Search. If you are interested in getting involved in the project, please get in touch. 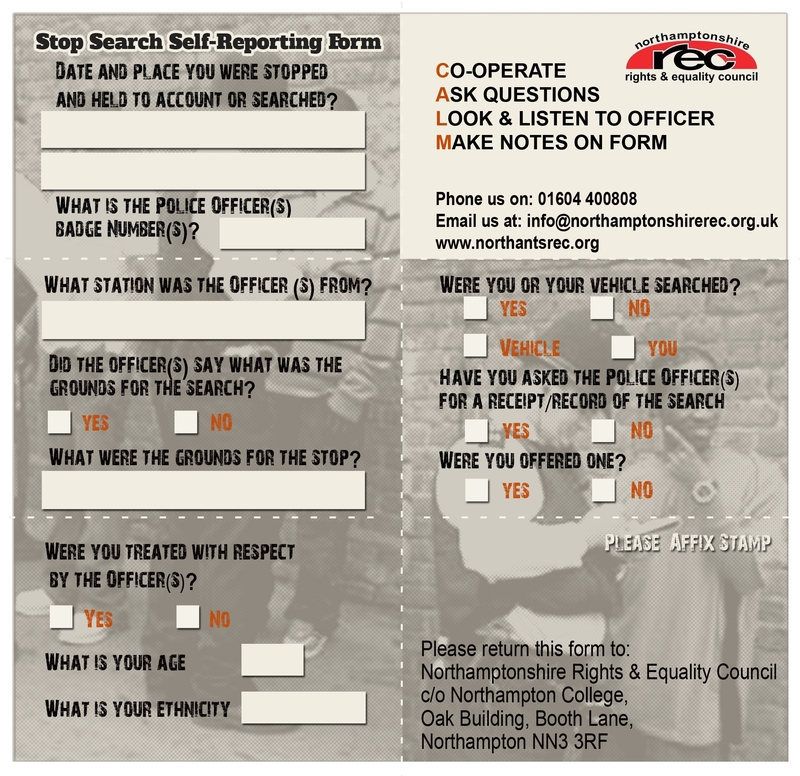 Our Stop and Search Youth group have designed this helpful form to help you keep a record of any stops that you experience and share that information with us. Completing this form will ensure that you have the information you need if you want to complain about your treatment. The information will also help us identify if particular officers target local people on the basis of age or and ethnicity. If this is the case we will be able to draw this to the attention of Northamptonshire Police and seek action.